Australian immigration department has started General Skilled Migration Program, under which it is providing skilled migrant visas. These visas offer the skilled individuals an excellent opportunity to reside and work in Australia. They can utilize their education qualification, their job experience and their language ability for meeting the immigration requirements for obtaining an Australian permanent visa. Under the General Skilled Migration Program, Australia has introduced three categories of visa. They are Skilled Independent visa (Subclass 189), Skilled – Nominated Visa (Subclass 190) and Skilled – Nominated or Sponsored (Provisional) Visa (Subclass 489). Australia Subclass 190, which is also known as the skilled nominated visa, where a skilled employee is being nominated by Australian territory or state or he/she has got the sponsorship from any of their family member who is currently residing in Australia. The skilled employee can permanently reside and work in Australia. 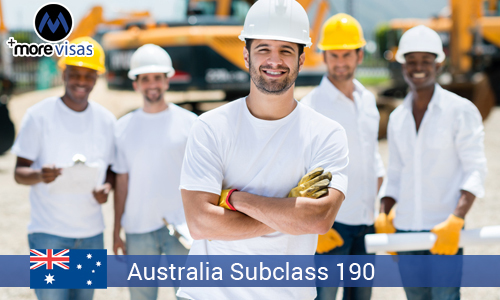 Australia Subclass 190 is points based; the applicant must submit an EOI through the Skilled Migrant Selection Register called as SkillSelect. And if the applicant meets all the requirements and if he/she is entitled, they would get an invitation to apply for this visa. The applicant would be provided two months to apply for this visa. The individual needs to reside in the state or territory for the period of two years. The skilled worker with all the necessary qualification and skills that are required by the Australia are allowed to work in the occupations that are listed in their List of Skilled Occupation. The individuals on this visa can reside in Australia for an unlimited period of time, the individual can study and work in Australia, they can also avail all the social benefits like health care, and they can also apply for Citizenship of Australia, they can sponsor their entitled family members for permanent residency and can also travel in and out of Australia without any restrictions.